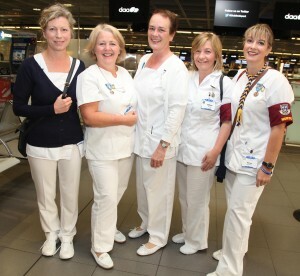 Nurses Tara Curran, Ann Breen, Alice Griffin, Erica Keogan and Helen Dunnebarron preparing to leave Dublin airport on the Dublin Diocesan pilgrimage to Lourdes. Pic John McElroy. Archbishop Diarmuid Martin of Dublin has called on the Irish government to introduce a new economic model which is focused on the health of all citizens. 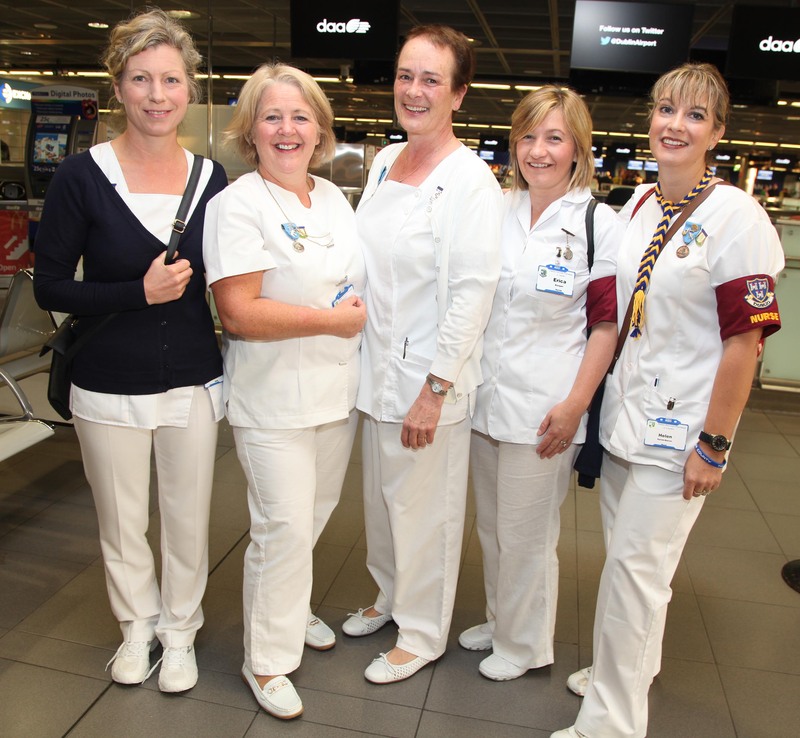 In his homily at the opening Mass in Dublin of the XIX World Conference of CICIAMS, the International Catholic Nurses Guild, the Archbishop warned the work of frontline nursing staff must be “given its rightful social and economic recognition”. He also underlined that care and love of the sick must be at the heart of the Church. “The current model has not worked, despite the extraordinary men and women who work daily in our healthcare system,” he said. The Primate of Ireland urged everyone to think about the manner in which they encounter sickness and human inadequacy. “In the face of the phenomenon of sickness many in modern societies are tempted to put it into a separate place … which lets us get on with ‘the real things of life’,” he warned. Acknowledging that nurses play a special role in healthcare as the ones who encounter the sick day by day, in their anxieties, hopes and fears, Archbishop Martin said the manner in which society addresses sickness tells us something of what we think of life. He criticised those focused only on the market, warning that there are limits of the market. There are collective and qualitative human needs which cannot be satisfied by market mechanisms, the Archbishop underlined. Referring to Pope John Paul II’s Encyclical Centesimus Annus, he recalled the Saint’s warning that market mechanisms “carry the risk of an ‘idolatry’ of the market, an idolatry which ignores the existence of goods which by their nature are not and cannot be mere commodities,” he told delegates from 22 countries gathered in All Hallows College in Dublin for the three-day conference. He noted that the same sentiment was stressed this week by the President of Ireland, Michael D Higgins, when he criticised “the placing of the market at the centre of public policy for all human needs”. The Irish prelate acknowledged that the inadequacy of health care systems in wealthy countries is nothing compared to the enormous inequity in the sharing of medical resources on a global level.